Rabbi of Salonica in the eighteenth century. 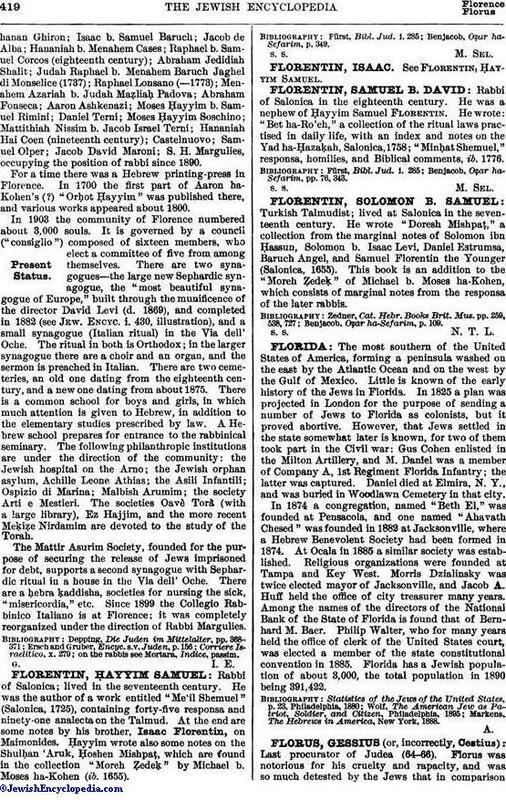 He was a nephew of Ḥayyim Samuel Florentin. He wrote: "Bet ha-Ro'eh," a collection of the ritual laws practised in daily life, with an index and notes on the Yad ha-Ḥazaḳah, Salonica, 1758; "Minḥat Shemuel," responsa, homilies, and Biblical comments, ib. 1776. Benjacob, Oẓar ha-Sefarim, pp. 76, 343.